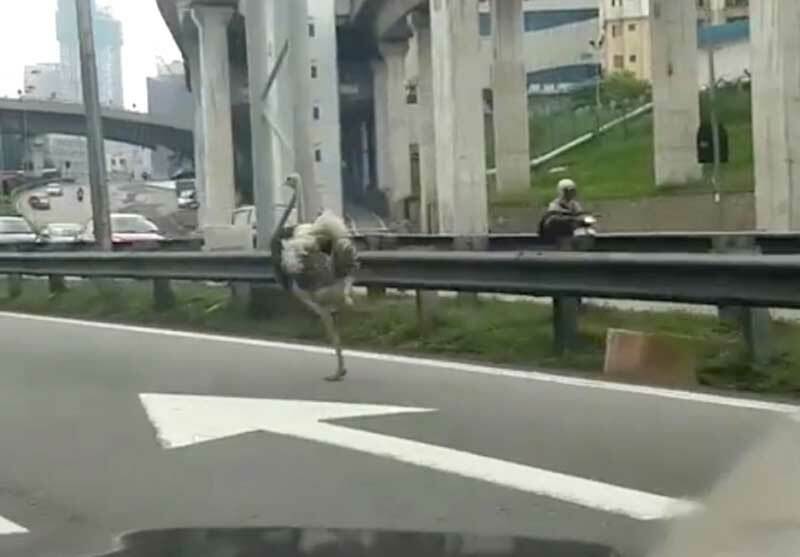 A runaway ostrich in Kuala Lumpur, Malaysia, escaped while it was being transported before galloping down the Federal Highway. The bird, named Chikaboo by its owner Darren Chow, was on the way to a farm near the Malaysian capital on Thursday when it decided to stretch its legs. The bird barely held up traffic as it weaved through lanes at top speed. 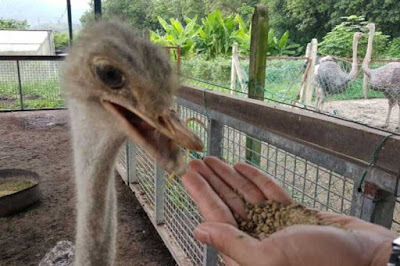 Four people managed to catch Chikaboo, an impressive feat considering adult ostriches can reach speeds of 45mph (70kmh). YouTube link. Original Instagram video. Mr Chow said he was sick with worry before being reunited with Chikaboo. "I just hoped that she'd be okay. I was willing to trade my life with hers. It's my fault for leaving the window open," he said. "Fortunately there were no motor accidents and she wasn't hurt; no one was hurt."